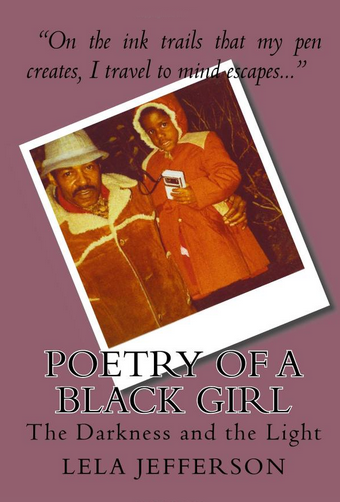 Poetry of a Black Girl: The Darkness and Light is the first book published by Lela Fagan (Jefferson). It is a volume of freestyle poems she compiled throughout her teens and her twenties. Reared by a mother who was already a grandmother two times over when she bore Lela. Her mom recorded her life using the mediums of audio journals and drawings. Her father, a recovering alcoholic, said his life was changed the day Lela entered it; his creative outlets were a camera and the canvas of recycled materials. He often used scraps of wood, cotton, and metal in his artwork. Both her parents passed away before her 30th birthday; their stories of deliverance and restoration were the first fuse that sparked their daughter’s passion for self-expression and appreciation of the arts.